Umbrellas are a handy item for just about anyone. Not only are they good shields for the rain, but you can use them as protection from harsh sun rays. This is good news for businesses as they make for great branded promotions! Read this blog to find out why you should invest in custom printed umbrellas for your marketing campaign. Whatever the climate, umbrellas are used by most people. But the truth is, they tend to be boring. Most umbrellas use single block colours or unattractive patterns. They are simply made for convenience. This means that there is a market out there for custom printed umbrellas! 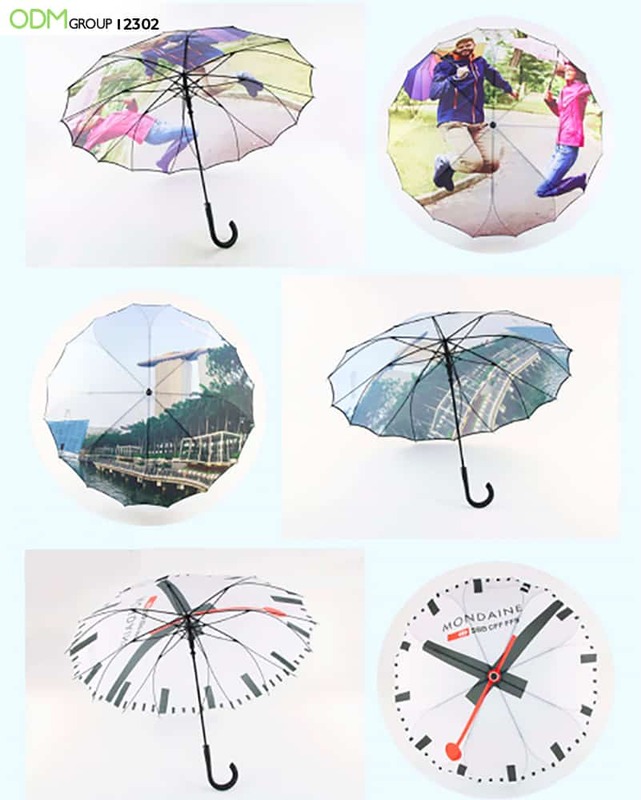 Pick a design and transform your average umbrella into a head turner! This product would even be a great conversation starter with colleagues. Almost anything can be made into a promotional item if you do it well! Companies have used giant custom printed umbrella stands and even creative promotional fan umbrellas as an innovative way to bring in customers and increase brand awareness. Using fun, eye-catching and clever designs, this product would make a unique addition to your advertising campaign. 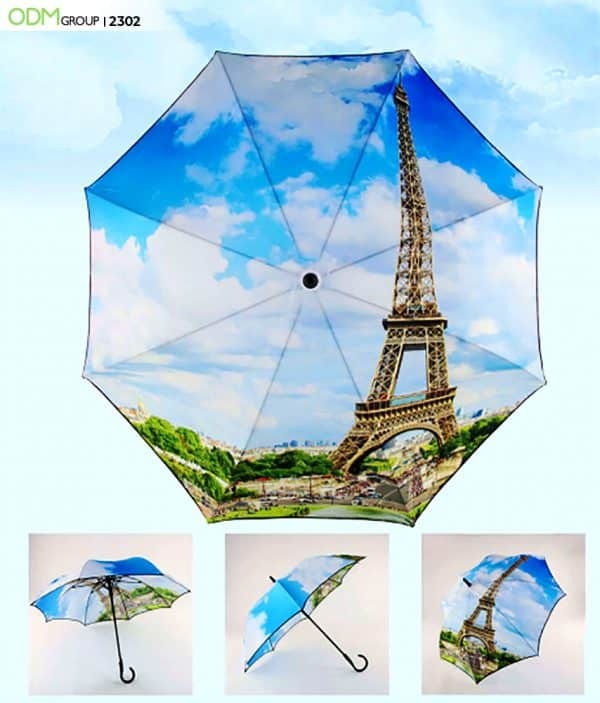 Check out this promotional umbrella with cup holder for inspiration! It would even make for a great corporate gift. Think of wine bottle umbrellas, LED umbrellas, beach umbrellas and so on. Or these corporate unique golf umbrellas we covered recently. Promote your brand using exclusive patterns or brand logos as a convenient way of advertising while offering a practical product to customers. Choose from silk printing, digital printing or heat transfer printing. Interested in your own custom branded umbrellas? Our design team can help you come up with a product tailored to your brand. Please don’t hesitate to contact us with product code 2302 to get a quote for these promotional custom printed umbrellas. The health industry turned heads with these capsule umbrella promotions! 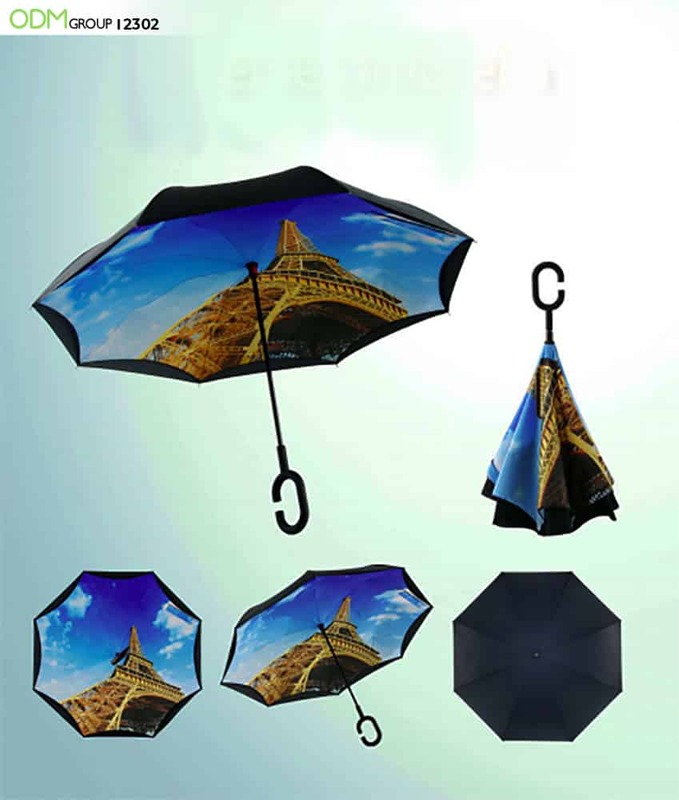 Read about dye sublimation and umbrellas in Chinese manufacturing!